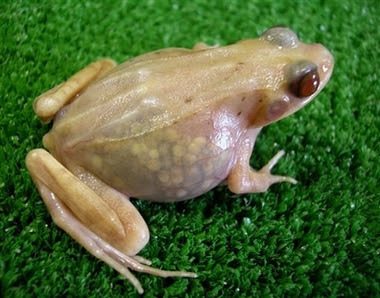 Biologists from Hiroshima University Institute for Amphibian Biology in Japan have developed a transparent (actually translucent) frog which they hope can be used for education. They say the frog no longer needs to be dissected due to its semi-transparent skin. Lead scientist Masayuki Sumida says the new frog can help in scientific research. 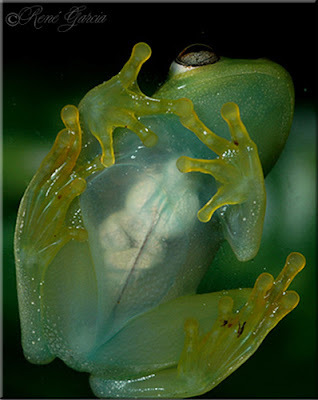 Naturally translucent frogs also exist, like the Translucent Reed Frog below. Click here for a video of the genetically-engineered frog.